At the time when Kirby’s Dream Land 3 debuted, HAL Laboratory had successfully developed the Kirby franchise to the point that it was a successful, well-received and established hallmark of Nintendo. Unlike Kirby’s Adventure and the Game Boy entries, it was no longer about developing games that would hopefully stick as a gaming staple. Rather, the focus could shift on how to cultivate the now established series for continued, sustainable success. Kirby’s Dream Land 3 is the culmination of the outstanding gameplay elements that have been perfected across the series, with the addition of jovially artistic aesthetics and a liberal expansion of the friend/ partner system. The result of HAL’s efforts is a far greater achievement than simply keeping a series going; it’s arguably the best game in the Kirby series to date. 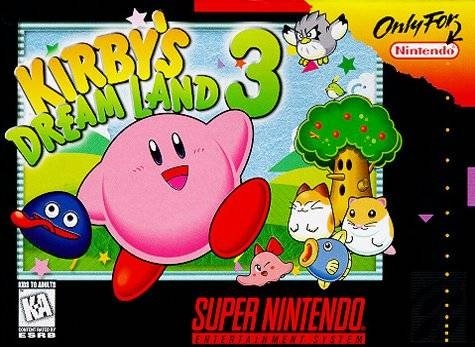 Due to how favorably Kirby’s Dream Land 2 was received, the HAL devs drew heavily from it for this game, from story to gameplay. 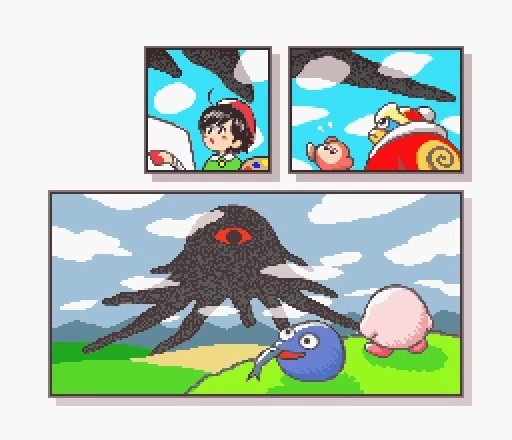 As in the previous game, Kirby’s Dream Land 3 once again sees a planetary threat from Dark Matter, the amorphous mass of darkness that can corrupt and control others. Just like in its Game Boy counterpart, Dark Matter has taken possession of King DeDeDe. This time though, Dark Matter has also spread itself like a virus, taking control of DeDeDe’s entire army and impacting the emotions of the residents of Dream Land. It’s up to Kirby and his friends to return Dream Land and its people back to peaceful tranquility. So once again, corruption and manipulation are key components to the story, as DeDeDe and his cohorts are unwilling participants in another’s scheme. 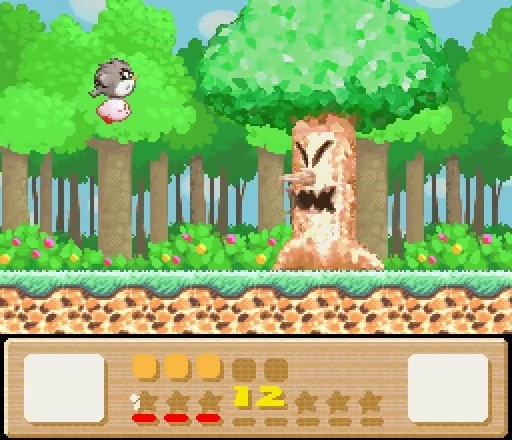 This time though, the devs have added a new layer in the form of the residents of Dream Land. It seems that even during this terrible crisis, the individual issues of these characters never cease. In order to get the true ending of the game and play to completion, Kirby and his friends must aid these individuals during his quest. While this is mostly a gameplay element, the idea of Kirby taking the time to help his people at this individual level speaks volumes about his personality. The world could be ending, but that doesn’t stop Kirby from doing all he can to make every single one he meets feel better. That willingness to go so far for his people shows us that Kirby is so much more than your average hero hiking from start to finish. Gameplay is where Kirby’s Dream Land 3 really shines, as it features some of the most creative and well executed mechanics I’ve seen in all of gaming. The defining element is the friend system, first introduced in KDL2, but perfected here. Kirby now has six friends that can help him, further altering his copy ability and adding their own unique abilities to the mix. Rick, Coo, and Kine, who were shown to excel in certain situations before, make a return. Rick can still run on ice without slipping, but can now jump kick up walls, Coo can still fly against strong wind, and Kine can still swim against strong currents and allow Kirby to inhale underwater. 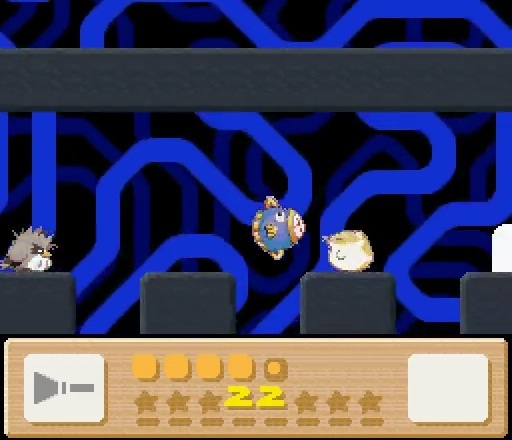 As for the new characters, Nago can triple jump, Pitch can fly fast, although has trouble in the wind, and ChuChu can grip ceilings and has limited flight. However, the way these friends transform Kirby’s copied powers is what makes the gameplay fantastic. Simply trying out all of the combinations and seeing the clever transformations is incredibly fun. For example, using Pitch with the spark power turns him into a remote-controlled flying bird. 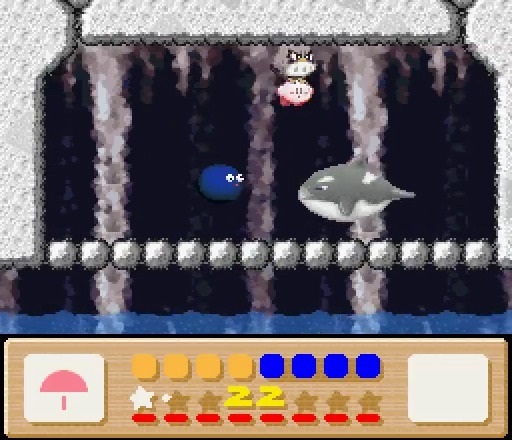 Using fire with ChuChu allows her to act like a hot air balloon and float into airborne enemies. There are several like these that stand out as especially creative and discovering them all just adds to the amusement and charm. 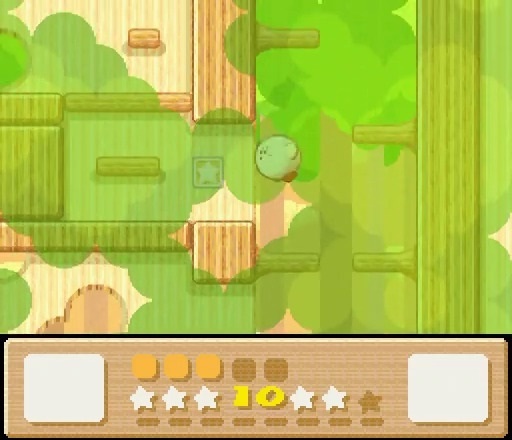 Helping the residents of Dream Land also lends itself to the gameplay, as it makes up the majority of the puzzle solving that the game has to offer. Puzzles come in a vast assortment and play off the array of friend-power combinations. While some puzzles only require the right power or friend, there are situations that will require both a specific friend and power that will match the task at hand. For example, if the requirement is to water a set of flowers, you will need Pitch with the broom power, as this combo turns Pitch into a watering can. Some puzzles just require reaching a specific door or area, but that in itself may necessitate the use of the right friend, power, or combo of the two. Plus, there are multi-part puzzles that make use of multiple friends, powers, and combinations to reach an ultimate goal. Players may have to replay a level a few times to figure it out, but playing around with the different combinations to find that right sequence to reveal a solution is incredibly satisfying. The only real complaint I have with gameplay is the same complaint I had with KDL2, in that some of the friend-power combinations fall terribly flat. Now I realize that not all of the combos can be as impressive as the ones I mentioned earlier, but some of them come off as a lack of creativity on the devs part. For example, using stone with Coo or Kine doesn’t give any relative benefit to using stone with Kirby alone. The broom power is a complete miss with Kirby alone, or with Rick and Coo, as the power’s usefulness is limited. Other examples include some of the spike and ice combos, as they don’t provide much added benefit, if any, than if Kirby was using the power alone. They may look cute or funny, but these misses are functionally unimpressive. Fortunately, for every miss, there are plenty of hits to outweigh those less than stellar combinations. While the gameplay is truly remarkable and stands out as the defining characteristic of the game, Kirby’s Dream Land 3 features some of the most charming aesthetics in the series. Visually, the devs went with a crayon/ coloring book art style, depicting everything from characters and enemies to backgrounds and level designs in this hand drawn, colored in fashion. It’s exceedingly well executed and fully produces those tones of lightheartedness and charm the Kirby series is known for. The details Kirby and his friends received is equally impressive, as each has a set of reactions dependent on the situation. I love how each leftover friend reacts when Kirby pairs with one over another. From the grumpy face Coo has to the sad, needy face ChuChu has when left behind, it shows their desire to be with Kirby and in on the action. I also enjoy the reactions some of the friends have when using a particular power, such as the tears coming out of Kine’s eyes when using stone or the miffed look Pitch has when running or flying, having to carry Kirby all the while. These details produce such a depth to the charming style that it’s a pleasure just to notice and appreciate them all. The audio is equally appealing, following in the same jovial style the whole tone of the game takes. The tracks are never aggressive or harsh, but rather fit nicely with the tranquil, yet slightly perilous quest at hand. Softer, slower tracks accentuate the peacefulness of Dream Land, as well as the fact that sometimes a forest creature or even a flower may need a helping hand. Boss themes are more upbeat in tempo, appropriate for a final showdown before moving to the next level. With the SNES hardware that could support it, I would have liked a larger soundtrack, as the tracks are repeated a bit too often and some are used more often than others. The talent of the composers is evident, so having more variety would have only helped. Like its predecessors, Kirby’s Dream Land 3 is a cheery excursion that fans of any age can appreciate. The charming and upbeat tone, the coloring book style, and the fantastic gameplay make this game stand out amongst the SNES and Kirby libraries. With all the action and the accompanying friends, Kirby’s Dream Land 3 is bustling, engaging, and very fun romp to save the day.